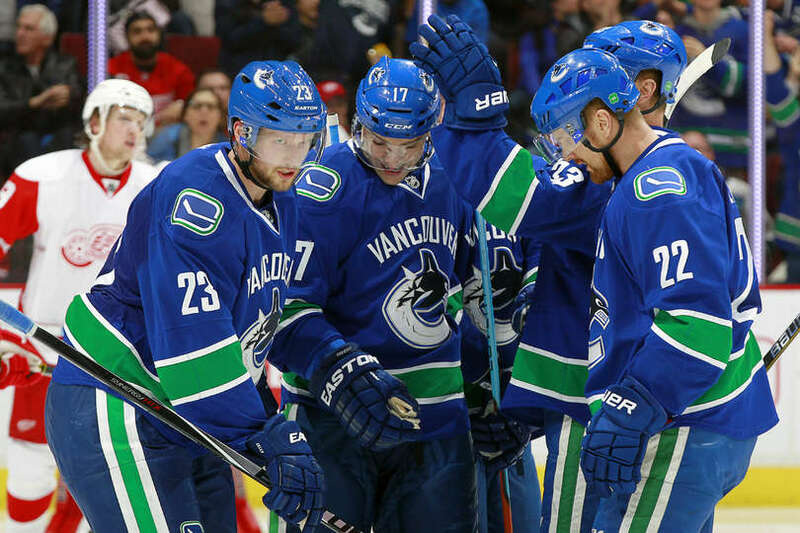 The Canucks are half-way through their 2014-2015 NHL season with a 23-15-3 record for a total of 49 points. The team has slowed down considerably after a strong start and they now sit 4th in the Pacific Division (and in the second wild-card playoff spot) albeit with games in hand on every team in the Western Conference. There are a few concerning things that I’ve noticed in the Canucks’ recent games. And I’ll point them out to you below…without mentioning a single stat. The Canucks aren’t that fast. Up front, you could argue that Jannik Hansen is the club’s only speedster. Shawn Matthias and Zack Kassian have decent wheels considering their size. Linden Vey, Brad Richardson, and Derek Dorsett are small players who are okay. The players on the Canucks’ top two lines aren’t going to win any fastest skater contests any time soon. Henrik, Daniel, Vrbata, Burrows, Higgins, and Bonino are all average-speed skaters and thus don’t win many races to the puck (more on that below). Looking at the defence, the injured Dan Hamhuis is by far and away the team’s fastest blueliner. After that, it’s pretty much average skaters once again with Bieksa, Edler, Tanev, Stanton, Weber, and Sbisa. The Canucks aren’t that creative. I noticed this especially when I was at Rogers Arena to watch the Canucks host Roberto Luongo and the Florida Panthers. 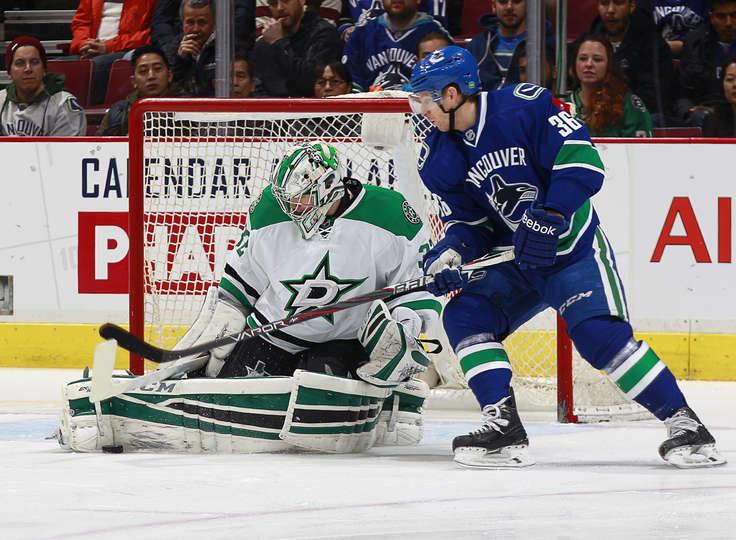 That evening’s weirdness aside, the Canucks had trouble gaining the offensive zone. Their passes were inaccurate, their entry patterns were predictable, and as mentioned above the forwards simply aren’t that fast. Add them all up, and it was a frustrating game to watch. Take the Sedins for example. At even strength, they have been resorting to chip and chase to gain the zone. But because they aren’t fast enough, the opposing d-men often beat them to the puck and thwart any opportunity for the Sedins to create. Another example is on the power-play. It has become predictable, stale, and thus ineffective. Once opposing teams took away Vrbata’s one-timer from the circle, the Canucks have had trouble scoring with the man-advantage. That is, when they actually draw penalties. The Canucks aren’t that young. The Canucks have eight players in their 30s, and another 10 players ages 25-29. Horvat, Kassian, Vey, and Sbisa are the only regular roster players who are under 25 years old. And this is after trading Roberto Luongo, Ryan Kesler, and Jason Garrison. The overall age might be a factor in the team’s speed and creativity (or lack thereof). 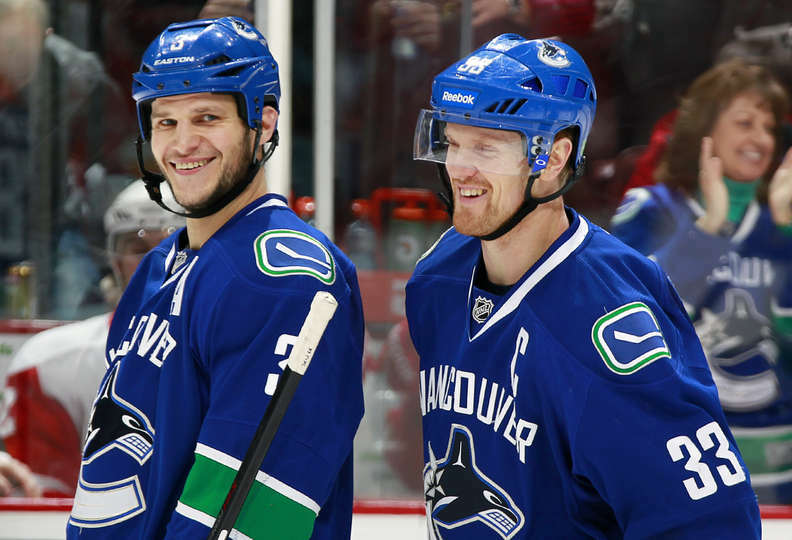 For the Canucks to evolve, they are going to have to find a way to get younger guys in the lineup. Guys like Jensen, Shinkaruk, Gaunce and down the road Virtanen and McCann. The Canucks aren’t that deep. Up front, there doesn’t seem to be much of a push for roster spots. With Tom Sestito now in Utica, the team has seemed to settle on its current 13 forwards. But they are looking stale. The injury to Hamhuis has exposed the lack of depth on the back end. While Edler and Tanev have played quite well, Bieksa has struggled mightily, especially when paired with Sbisa. As well, Stanton and Weber have had mediocre seasons so far. Only recently has Frank Corrado got into the lineup. As the CHB resident glass half-full guy, I’m not saying the sky is falling. For all of their recent struggles, the Canucks are right in the hunt for 2nd place in the division. And we’ve seen that things can turn around quite quickly: Miller will hopefully regain his strong game, the Sedins might become dangerous again, and the second line is bound to start scoring. And don’t forget that Hamhuis looks primed to return any time now. But until some of these things start to happen, I’m afraid that the Canucks may be who we thought they were. Not that fast, not that creative, not that young, and not that deep.